Tips on keeping weeds in check this spring! We feel your frustration when it comes to weed control in your lawn! In spring, when the temperatures cool and rain persists, an explosion of weeds seems to come out of nowhere, even in the most manicured of landscapes. Whether you are on an organic maintenance plan or are using chemicals, weeds are a fact of life here in Texas. Did you know we can even tell what's going on in your soil by the types of weeds growing in your lawn! Why are some weeds inevitable? A total monoculture (one turf grass, no weeds) isn’t a natural condition and one should expect some weeds in a healthy organic lawn. You should still expect to hand-pull some weeds as needed. A healthy, vigorous lawn will better out-compete weeds over time. Proper feeding and watering year-round, plus mowing your lawn the right way, can help keep weed pressure down naturally. Not at all! 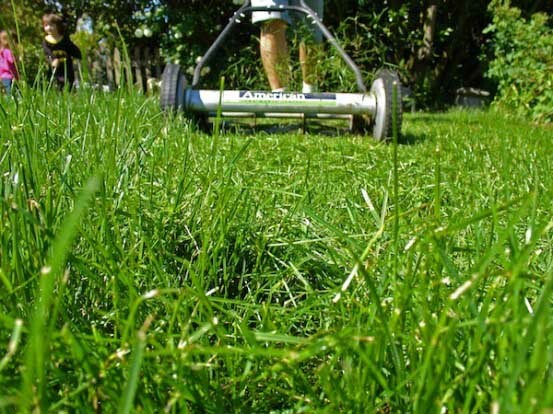 As long as large clumps are not left on the lawn and the lawn is dry, now mowing after a rain, then the clippings should naturally disperse into the lawn. They will decompose quickly when consumed by beneficial bacteria, which turn the clippings into food for the lawn. Plus, you’ll be keeping that valuable carbon matter out of the landfill! Lawn clippings don’t cause thatch (unless you’re over-fertilizing, over-watering and over-mowing).